What could be the most salient point of the newly passed Universal Health Care Law (UHCL) which President Rodrigo Duterte signed not too long ago? 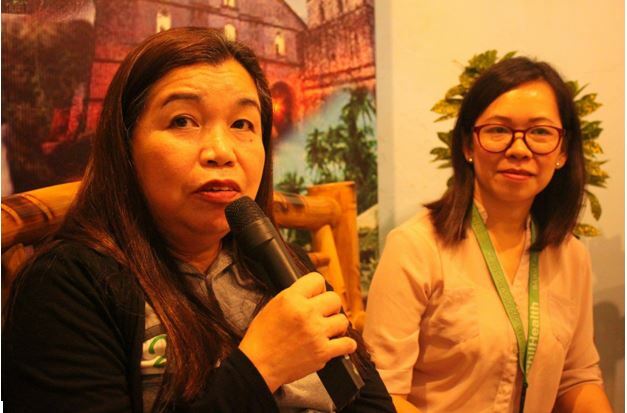 Asked this question, Philippine Health Insurance Corporation (PhilHealth) Visayas Vice President Lourdes Diocsonhinted the reorientation of the old health care system. From the generally post confinement assistance, much of the new health care law steps towards a proactive primary health care system marks the biggest paradigm shifts in the Philippine public health system. Speaking at the weekly Kapihansa PIA which is aired live over DyTR and on a delayed podcast from PIA Bohol twitter and facebook pages, Diocsonsummed the UHCL as a law that will now provide every Filipino the highest possible quality of health care that is accessible, efficient, equitably distributed, adequately funded, fairly financed, and appropriately used by an informed and empowered public. This is based on the government mandate to ensure that every Filipino gets affordable and quality health benefits by providing adequate resources: health human resources, health facilities, and health financing, she explained. As the UHCL expands the right to have access to a health care system that does not just work when one is confined at a health facility, it works not just in financing one’s health risks (which the PhilHealth provides) but also includes providing human health resources in the Department of Health’s (DOH) network of medical practitioners, pharmacies and medical professionals’ organizations to be contracted by the government as well as the string of health facilities and medical specialty institutions where consultations and laboratory tests may be free. Here, as the new law automatically enrolls everyone eligible for the quality health care via the National Health Insurance Program (NHIP), access to quality hospitals and services is also assured, it also makes sure one is assigned to a primary health care provider. This way, preventing from getting confined or getting sick is now given focus, unlike then when people only think of health care as a patient of on his way to a hospital or to discharge from confinement. And as this entails financial risk protection, the government infuses funds to the NHIP via appropriation, revenues and shares from games and amusements and the sweepstakes, PhilHealth puts in two kinds of members: direct contributory members and those indirect contributory members, or those who do not have the capacity to pay but are subsidized by the government.